Amazon on Monday morning issued a press release in which it listed out the “Best of Prime 2018.” What does that mean, exactly? The nation’s top retailer took tabs of all of its best Prime perks and recapped it for us. For example, Tom Clancy’s Jack Ryan and Homecoming starring Julia Roberts were the two most popular Prime originals of 2018 (Homecoming was awesome! ), and Justin Timberlake was the most streamed artist on Amazon Prime Music. Where sales are concerned, Prime subscribers purchased plenty of great products over the course of the year. 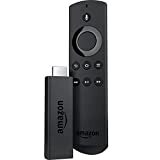 It shouldn’t come as much of a surprise that the single best-selling product of 2018 among Prime members in the United States was the $40 Fire TV Stick (which is on sale right now for $25 if you grab a refurb). 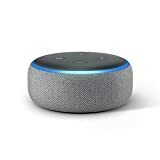 The second best-selling product of 2018 was the Echo Dot, which is also on sale right now. 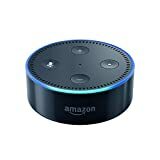 You can get the 2nd-gen Echo Dot for $25 for a limited time, or get the new and improved 3rd-gen Echo Dot for $30.